Some of my blog posts are a mental exercise as I strategically plan my own business. Today will be one of those posts. So I hope you enjoy my thoughts as I decide where to take my current niche site business. Today I want to discuss the topic of how many sites someone should build; and deciding when and how much to scale those websites. I've covered this topic a few times in the past including my last blog post and podcast with Perrin. Last week, one of the 9 mistakes I pointed out was not scaling your business. I've also been asked recently by a reader to bring up the whole small niche site vs authority site once again. So, lets dig in a bit deeper today, as I am going through some of these decisions right now in my own business. Back in the good ol' days of Google, you could build dozens of sites each month and have many of them ranking quickly and making money. This is how many of us got started several years ago in the niche site business. It was more about gaming Google and seeing how many niches you could discover and expose as quickly as possible. This is how Hayden Miyamoto and the EmpireFlippers.com got started as well. It's just how it was. However, over the past few years with Panda, Penguin, and other updates; Google has forced us to change our tactics. Automated and mass link building no longer works; so its nearly impossible to scale hundreds of websites all at once. Circa 2007 to 2011 you could, but no longer…those days are long gone (hopefully you got the memo). I've said it many times before and I'll say it again, if you are trying to build dozens of brand new websites all at once…its a terrible strategy! There, said it…again. I've written a VERY detailed post that goes over this exact topic called, “Should I Build Large or Small? Taking a Portfolio Approach with Niche Site.” Read it again to get where I stand on the subject. How Many Sites Should You Build? I want to start off by simply clarifying how I personally think of niche sites. A niche site does NOT mean a small website. There, I said it. I think too many people think that a “Niche” website means building a site that only has 10 or 20 pages of content. This is simply not the case. “Niche” really means a small segment of an overall market or product. It means laser focused on one particular topic…or niche. As a perfect example, and to prove that I’m not the only one that thinks this way; check out the Wikipedia page of what a “Niche” Market is right here. And even better, guess what example Wikipedia gives as an example of a Niche market/website? ESPN.com! That’s right ESPN.com is a niche website. It focuses exclusively (with laser focused intensity) on Sports. Again, this isn’t my example, this is from Wikipedia. Yes, this is a VERY large niche site, but it is indeed a niche site. ESPN.com produces dozens of articles, videos, and more each and everyday. I share this simply to get the incorrect idea out of your head, that “niche” means a “small” website. It doesn’t. A better question to ask is not how many sites should I build, but how many can I realistically handle and truly make valuable? For most people this will be no more than 2 or 3. And if you really find a winner on your hands, you may focus exclusively on 1 site forever. That's the best way to scale…100% focus. However, I know you have the itch to build more, just like me. If you are willing to outsource some of the work and have others help you with the process, you can perhaps manage a few more than 2 or 3. To give you an idea of how many sites I am building with a full time employee (Perrin), I wanted to review the portfolio of sites we've built over the past 5 months. Perrin and I have built a total of 8 niche sites from the ground up since January. I've purchased 2 additional niche sites that Perrin helps out on. (See the income report from these 2 sites here). I have 2 additional sites that were partially started before Perrin came on board that he is helping to scale larger. That makes an even dozen sites that Perrin and I are actively working on and building together right now. So, we've built 8 new sites total, and we are questioning whether that was too much over a period of 6 months as its difficult to focus on all of them at once. So, if you are building a site each month, you might be building more than you can handle. (Obviously this is just my opinion and everyone's situation and resources are different). In addition to those dozen sites that Perrin has a direct influence on, I still have over 100 older niche sites that sit passively and still earn each month; although much less than in their heyday back in 2009 to 2012. I also have another website that is a very “white hat” site that I've been working on for a couple of years (very sparingly). I've never built a single link to it manually; very much in the style of what Fraser Cain recommends. It's a site in a niche that I am very interested in, and I've grown it to a point where its getting between 700 to 1,000 uniques per day. This is a site that I plan to scale massively with content and products and expect really big things from after another year or 2. And finally, I'm currently in negotiations to buy another site that also has a lot of potential. (I'm sure I'll share more on this site purchase down the road). Now that I've hopefully talked you out of building dozens of sites over the next 12 months, the question comes to when to scale your site? This is a point that Perrin and I are actively discussing in our own business. With the dozen sites that Perrin is directly involved with, our hands are full. We've debated whether to build more sites because we know there are lots of other great niches out there; however, we've decided that we are not going to build any new sites for the foreseeable future. We've got a great portfolio of young sites that are starting to rank well, and we believe that we can scale them to be much larger properties. At the end of the day, I feel like I can make more money by investing in my existing sites than by building new sites. And we've built the sites in a way, using brandable domains, that some of them could grow into six figures a year websites. Yep, that's an ambitious goal that may never happen; however, some of the niches we are in do have competing affiliate websites that likely are doing six figures a year. So, why can't we do the same if we scale properly? 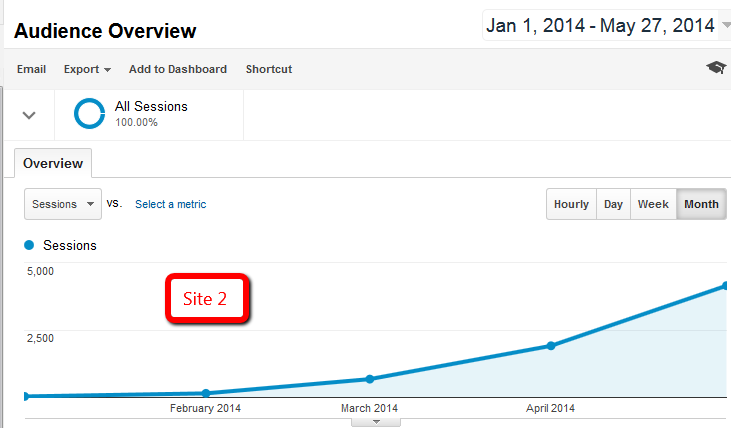 So, when should you start scaling your site with more content? As soon as you see some promise in your Google rankings and earnings. For me, this is when I see a site making a couple hundred dollars a month and/or ranking for lots of long tail keywords…and hopefully on or near the first page of Google for its primary keyword. And of course you need to do your own analysis on which of your websites would make the most sense to grow larger. But for Perrin and I, we are taking our site that is our top earner right now and will be adding 20 to 30 new articles to the site next month (June). We have a couple of sites that are almost six months old now, and they are starting to rank well. We will likely be adding up to 30 articles on each of these sites in the next 30 days. If the results are good, we may continue adding new content each week to these sites. Purchased Site bought in January. We are looking to add content and scale this site as well in June. To truly scale a business, you need to add more than just new content. Right now, new content is all I'm focusing on to grow my niche site portfolio with Perrin. However, once one of these sites really “takes off”, we will scale our earnings by moving away from affiliate products to selling our own products. At that time, we might start selling kindle books on Amazon, create our own physical product, find software solutions, or find some other way to create a product in order to capture as much profit margin as possible. I do currently sell an ebook for one of my niche sites that I created a couple years ago, but beyond that exactly how we will scale our current niche sites is theoretical. We will cross that bridge as we see more traffic from the additional content that we add. At the end of the day, I hope to have a couple of sites doing “really” well that I can grow for the next few years. I think that's something that everyone in the niche site game should be striving to achieve. Overall, I would love to hear your thoughts. I hope you don't mind as I shared a few more details about my own business and went through the mental exercise of deciding what sites I should scale and other details. If nothing else, I hope this post helps you think through the process of how many sites you should be building, when to scale them, and how to make them as profitable as possible. I think quality wins over quantity, if you can build a six figure site why you will distract yourself by building more it appear illogical. What I find really hard in building niche sites is the management especially after Google updates when you are working on a site for more than 6 mount and you don’t see any improvement in ranking you start doubting and you get confused about the hole business idea. Adil – I’ve been working on one site (in a competitive market) for several *years* now on and off. I don’t focus on it full-time – just a few days each month – but I keep chugging along, adding content and building *quality* links. *Finally* in the last few weeks Google seems to have decided to shine a light on my site and I’m seeing my site appearing for all manner of keywords. In short – I think just “showing up” can be key to niche site building. Keep on plugging away and testing ideas. The benefit of having a number of sites is being able to run tests on different sites to see the results, and then replicating the most successful ones on the rest of your portfolio. Richard – I think nowadays ranking sites should be like running for long miles Google must see if the site is relevant and persistent so you can get ranked. 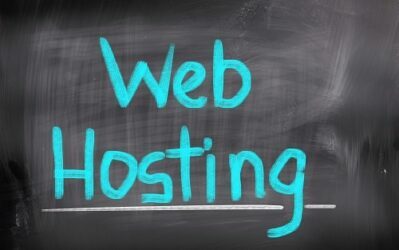 In may case I bought 10 domains and only finished by focusing on one site handling the back-links strategy is the most hard task that I have found. I agree…”showing up” is a huge part of this business. As always, I eagerly wait for all of your blog posts and check several times throughout the day! Times are getting tough yes and gradually, I think it would make sense in growing existing sites in the direction or being semi-authoritative at least if not fully authority sites. Overall I agree with your general point — it’s tough to focus on one thing, when you have many different things going on at once. And lack of focus leads to mediocre results. On the other hand, to truly scale, I think you need to scale horizontally as well as vertically. Meaning, you need more than 1 site. The way I think of it is: would you rather have 1 site earning $10k per month, or 10 sites earning $1k per month? For me, the answer is easy: 10 sites. And the reasoning for that is simple: risk. With 1 site, all your eggs are in one basket. One Google penalty, and you’re done. You’re 100% invested, and 100% at risk. With 10 sites, your risk is spread around. If one site gets hit with a penalty, then at least 90% of your business is safe. Of course, scaling 10 sites vs 1 requires a lot more time, patience, and resources — but if we are talking about long-term plans, for me, it’s the only way to go. This is a great point, Mike. And I think it’s important to find a happy medium. 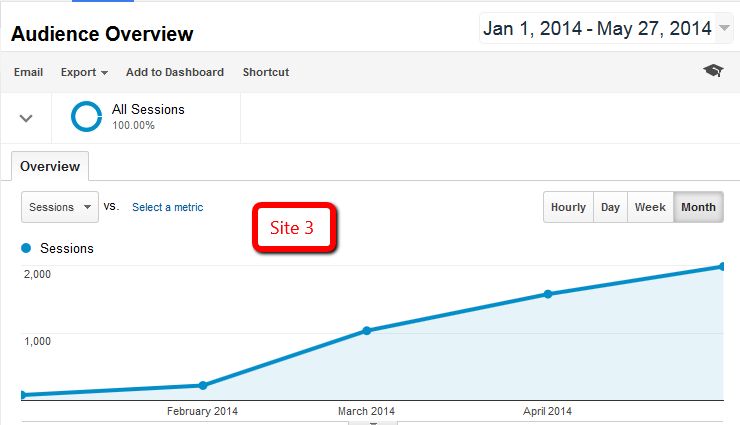 For myself, I’m probably going to be building about 2 sites per year. That’s a lot less than 10, but it’s not 100% risk, either. And, after building so many of these sites now, I feel like devoting most of your energy/resources to just a few sites is the best way to maxmize your ROI. Perrin, do you think, as a Newbie, trying to build 3 sites a year is too ambitious? I think its fine to build a few sites…but I view the “basket” differently then you do. SEO is the basket, not different sites. If you are relying on SEO traffic from Google for your business from all 10 of your sites. It doesn’t matter if you have 1, 10, 100, or 1000; they could all get penalized over night with one google update if you are using the same SEO tactics on all of them. However, if you are doing things more “white hat” the risk is less. Just something to think about. Obviously, I’m with you on having more than 1 site (I have lots)…but I’m not as convinced that more sites diversifies your portfolio (depending on your strategies). Hey Spencer–just to be clear here…when you say “relying on SEO traffic”…what do you mean? Do you mean if I am writing articles and adding one or two keywords in a 1,200 word article for relevancy, because I’m under the impression that’s just natural and being smart when it comes to writing your articles? Or do you mean, buying link building software that will inflate your rankings for specific keywords? I mean getting traffic from Google. So everything you mentioned above. Sure buying links and using link building software is even more risky…but Google is the risk. I am a newbie and prefer 1 site 1st and learn more as I build and then add more sites. I have heard of people losing one site from google, so I prefer 10 over just 1. Awesome to see all the strategy discussions we’ve been having put into a nice, cohesive package. I should mention here, too, that choosing to scale a site instead of creating more new ones means that you’re getting MUCH more value out of both your links and your content, which is a big motivator for me as I head into my second and third personal sites. 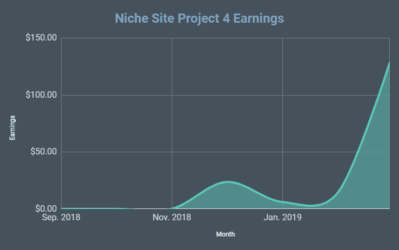 Choosing to scale niche sites into authority sites is why we’re seeing many of our colleagues end up with $3k-$5k/mo sites — and some are making even more! So it sounds like you prefer the strategy of building and holding vs building and selling? That’s correct. I’ve only sold a couple of my sites…ever. This reminds of me of the type of content Pat Flynn builds on his sites. He started his Food Truckr site and it’s more of an “authority” site but he also considers it a “niche” site. Either way, it’s laser focused on one topic.. Food Trucks. I think he’s creating the type of site people will love and come back to for more information in the future, not some thin site with 10 articles on one topic. I am going after this same approach with one of my new sites and I’d like to consider it an authority site. Tons of topics to write about and I see it becoming a great resource for people who are actually looking for information while at the same time I can sell Amazon products through the site. Being a person who has dived into a little bit of everything online, focusing on one thing at a time has been a big factor in my success online. So I agree with working on what you have and building them out from there, if the niches are broad enough you should have tons of potential content ideas for future articles which in turn will bring you more traffic and more sales of your products or through affiliate programs like Amazon. Awesome post. I am currently taking a couple of weeks out to write my main page post. Not rushing it as I have a full time job. I’ve designed a cool looking logo and think it could be a niche site that will become an authority site in the months to follow. Thanks for all your help. Will keep you posted on my progress. 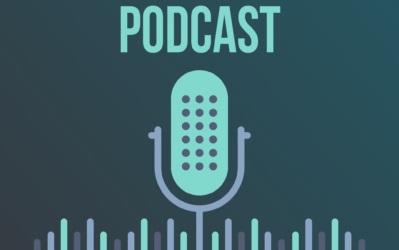 Great fan of your podcasts also so keep them coming! Thanks Kevin…glad you enjoy the podcasts! Good stuff spencer, this has been something that I’ve toyed with as well lately. Right now, I have 1 niche site that I’m really trying to focus on, but I Keep finding new niches that are very appealing and I want to go after. I want to get my main term in the top spot, and I’ve been focusing on that for quite a while – since february but have been having some difficulties as panda4 rolled out – I’ve dropped from #4 to #6, and I cant decide if it’s going to continue or not. I want to add more content, but despite my high rankings, i’ve only made one sale and am already way in the hole on the project and dont know how much deeper I want to dig. I want this one to do really well and grow, but I cant seem to figure out the problem as to why it cant crack the top 3. All that said, focusing on just a few sites and being able to get more long tail searches will increase the value of your properties and I’d really like an update on this at the end of 2014 to see how well your scaling works! How old is it? If it’s less than 6 months old, give it more time, brother. I started making it in october/november, and hit the first page at the end of april. There’s about 30 pieces of content on the site, including the main page. I think its fine to work on 2 or 3 sites at once…but much more than that can get difficult unless you have money to spend. Depending on how much traffic you are getting at #4 or #6, you might want to reconsider how you are monetizing if you aren’t getting any sales. Right now, it’s an amazon site and I’m not sure if adding adsense would help any at all, but I could give that a try. Total visits per day are ~40. Adsense would bring some money in, but the site doesn’t get enough traffic to be too concerned with monetizing. You will need quite a bit more traffic to make much money. Indeed, it’s very difficult to handle too many websites. It’s always better to focus on a limited amount of white hat sites and work on the quality content. Today, I’m thinking about switching to the social networks. Maybe (youtube, facebook or twitter) and create a popular channel, where I can have many subscriptions/live people. By doing that I will most certainly leave the SEO niche and focus on SMO. I think SMO is the future and will perform much better. And finally, once you are not addicted to the search engines, you can always pull out live visitors. Nothing wrong with that. I will just say that Facebook is extremely difficult now to get much traffic from; without paying for it. Another post that drives intentions of many like me. I spent last year learning all the ropes, partnered with my buddy and built a team of 6 in 4 months of 2014. Helped me hit my target to build 25 sites in 4 months. 10 of them are ranking on page 1 and all other on way up. Few of them making $500+. But guys, it’s lot of work. Without outsourcing, it’s almost impossible to build portfolio. One thing I learnt from everything in last 1.5 years, do your research…make strategy like a pro…stick to it till you make it…it’s not impossible to rank ATM…Just that you need more patience to see desired rankings because of some vital changes in google algo. Priyank – Your Indian Fan. I think it depends if you are working as a writer or a publisher. If you are doing it all yourself then yeah you totally need to limit how many projects you are working on. The New York Times puts out a quality newspaper every day of the week with more content than most small niche sites. The less sites you have the more careful you need to be with your linkbuilding. If you have all your eggs in 1 basket and you get a manual action then that’s a serious loss. With more sites you spread the risk but you reduce the potential value of each site. These guys are very interesting. The Wirecutter is basically 1 massive amazon associates site for techy products and the The Sweet Home is the same idea but for home products. Last I heard the Wirecutter was bringing in $50000 per month in affiliate commissions and was growing super fast. Their reviews are thoughtful and quality. But take a look at their backlink profile and it’s not hard to see that some of their most valuable inbound links are from other properties owned by the same business. They’ve got a little ring of their high pagerank sites all linking to each other. I only looked for 2 mins but I think that’s definately moving into grey hat rather than purely white hat. So if anything goes wrong they are looking at a major loss. On the flip site, they’ve build up a super successful mega amazon associates site they would sell for a massive price. Yep, that’s the idea 🙂 We’ll see if I ever get to that level. That’s really “Raising the bar”! I feel like putting a color on the hat is a bit silly these days. NoHatSEO is the way to go.. Try different things, see what works, scale, bank – rinse & repeat.. Grow the winners and sell or cut the losers. I’ve met plenty of ‘white hat seo’ guys who make most of their money by blast and cash with SeNukeXcr or GSA and tiered link building to the money site. You can’t deny it when you meet the guys living in Thailand making 10k a month. It does work, but it takes a massive commitment and learning curve. You need to learn how to use a lot of softwares and gather a lot of knowledge (thanks Spencer), then create SOP’s for outsourcing.. Invest a lot of time and energy into this and some will never make it, others may get slapped, but the rest may do a dance and make you a nice income. Not for everyone, but fun for those who get a buzz out of it! Nice post guys. I guess I’m in the camp of building out multiple sites at a time (with help/outsourcing) and building up the successful ones even further. I’m also a build and sell vs a build and hold and that helps make my entire portfolio more manageable as older sites fall off my plate. It’s a personal choice — I think building 5 sites a month can and is profitable as do I think building 1 site every 5 months can be profitable. The problem with the former is a lot of moving parts and organization is a must. If you’re not tight on that, then you’re in trouble. You can’t hand off your niche building process to a manager? Can’t find anyone you can trust? I already DID hire a manager. Perrin does exactly what you mentioned. 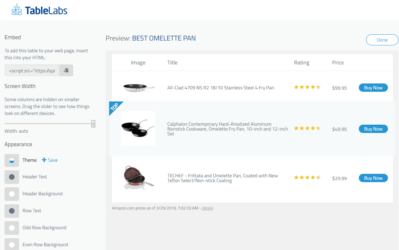 I currently have 5 product based niches sites only focusing on one product. How big should I make those? I have around 12 posts one on of them. Should I keep creating content for those sites? If they are making money…yes. Find ways to expand and grow the sites. Terima kasih telah berbagi spencer. saya sengaja berbahasa saya supaya anda juga menghargai bahasa negara kami. Great post, Spencer! I agree with your approach for all the reasons you mentioned, but also because it’s less risky. Every time you start a new site, you’re making an investment and that investment carries risk. The risk goes down significantly when you’ve already seen some positive results. I’m definitely in the camp championing a small number of sites and focusing on building them up into something reputable and authoratative. Over the past couple of years it’s gotten a lot harder to build out niche sites, as you state in your post, so it makes sense to focus on a small number and stay within the SEO boundaries to cut the risk of a future penalty. I guess the ideal scenario for each site you build is to create a community/build a list around it, one that buys products and promotes content on your behalf, therefore lessening your reliance on Google rankings. It’s easier said than done though! One question for you – do you create and update social media profiles for each of your sites – Facebook/Google Plus pages, Twitter accounts etc? No, not for each site. Only my more successful sites. Interesting article in my opinion I would focus entirely on one site but more importantly focus on adding to and diversifying the income streams. Grow the site in terms of qulaity and monetization. Great post Spencer, I think that one thing you hit on specifically details my process in the last year. Brandable domain names. I have stopped focusing on any type of emd/pmd because I felt that it limited the type and size of the site. Something like “cinnamonforweightloss.com” doesn’t really lend itself to much more than providing content solely on cinnamon for weight loss. I have been viewing the domain name as almost a part of copywriting, I think that a catchy, memorable name allows visitors to remember the site and sets the bar for what they assume will be a useful site to visit. In the example provided above I would rather gravitate towards “naturalweightlosstips.com” and then target cinnamon for weight loss as a separate page. This type of site now has the ability to be scaled up as a broader site with more range. That is the general shift that I have taken in the last 6 months with sites and will continue to do so. You are also 100% correct that you really can only focus on a few sites at once, if you chase multiple rabbits you tend to catch none. I have had to become a lot more patient with building larger more authoritative sites rather than bank quickly with thinner sites. I agree. But I think you come up with an even better brandable domain than naturalweightlosstips.com. It still sounds a bit spammy…I would go with something like: skinnymojo.com or something like that. I know its just an example you were making, just wanted to add my 2 cents. Hi Spencer……nice post. I started a niche site about a year ago and put about 20 posts of content on it……added odd posts over the year and some very limited link building……this year I’ve added much more content and it gets about 1000 queries a month according to webmaster tools. Its now making about 300 bucks a month so I think its time to really start growing the site………. I had aggressive plans for the year, but as I started to dig into my first site a floodgate of complementary products came to me through research. We have decided to focus like a laser beam on this one site, but seed a few other sites and let them age until we can focus the same attention on them! Hi Spencer, I am a recent subscriber and have enjoyed your posts. I am a newbie to the blogging world. Perhaps in the future I may delve into niche sites, but I ended up starting 3 blogs at once and that balancing act is enough for me. I’m a bit scattered brained, so the niche sites may never be a reality for me. Time will tell. In the mean time, I ‘ll read and learn from others such as yourself. Karen, congrats on the 3 blogs. And for the record there is likely no difference between 3 blogs and 3 niche sites. So, congrats, you already started 3 niche sites. (The only difference would be if you truly aren’t targeting a specific niche with your blogs…but my guess is that you are). I started building one of the “quality” websites with in-depth 3000-7000-words articles in December 2013. By the end of April I had ~ 26 of them and several hundred visitors a day. I manually built ~ 50-60 quality links. Then I bought a new “responsive” theme Vantage which has a directory module (I wanted to use it for creating an organized list of resources). 3-4 days or so after switching to it I completely lost my positions for almost all main keywords – not just moved down from #2 to #4 but gone completely from the top 100. I went back to the old theme 2 days after that but 4 weeks passed and none of the articles that ranked from #2 to #6 on Google are in the top 100 anymore, and these are really good in-depth articles that I was getting ready to convert into a book. I was really trying to follow Google guidelines and got this crap just for switching to mobile user-friendly theme because 35% of the visitors were mobile ones. So much for trying to improve user experience! Other competitors with recycled 700-word content are doing just fine even after Panda 4 started to roll out. I got lucky to get this hit before investing too much. I agree on the fact that focusing on one site at any time just like Fraser Cain did; is most preferable for guys working alone and who are short of the budget. Its much better when you focus all your energy into one niche market. This will definitely give you big ROI when you perform proper market research, niche research and keyword research before you start any of your niche project. I think you need to at least focus on one site per year if you are a beginner. Good Keyword Research, Better Content Quality, A Valid Link Building Plan and Consistent Focused Work is all you need to make any site a super success. At least this is what I am experiencing in my niche market. Best of luck to all my nichepursuits buddies. I completely agree with this. I am of the mindset that having 10 sites making 1k-5k a month each is way better than 1k-5k sites making $10 a month. Love the post and hope it reaches the masses. Its almost painful to go through the serps for low competition keywords and see the later pages littered with 5-10 post sites that are semi-good just not built out. A little bit of content goes a long way especially with the long tail. I want to rank a new site at least every 60 days — Even if I end up selling it. SEO changes too fast to sit it out it for 6 months. I made that mistake from Jan-now and I’m finding some new nuances that weren’t there 6 months ago. Still ranking, but hit a couple hiccups I didn’t expect. I agree with you that we don’t have to build many sites. Having the little sites, but optimized properly, the result is like having a lot of sites. That’s a lesson we can get from the example that you practice in the last two niches. Thank you. Thanks for the mention Spencer. Building a large amount sites was a great way for us to get started, but like you said those days are over. We are mostly out of the site building business and have even removed our services geared towards those types of buyers. That said we still have about 150 sites in our library, some with a large amount of content. Those seem to be the ones that do best — built on an expired domain, with 100% original content, and given time to rank naturally (6 months or so). It just a very hard process to replicate and scale because of the lag between building and profit. Sometimes it doesn’t work out at all, you have to adjust your process and take another 6 months to test. THis kills your cashflow and short term ROI. So I think it’s best to have a few winners and truly develop them over a large amount of sites — there is just too much inherit failure in any system of mass producing sites these days. Great eirk you guys! I am extremely grateful for this ‘affirmation post’ for me personally. 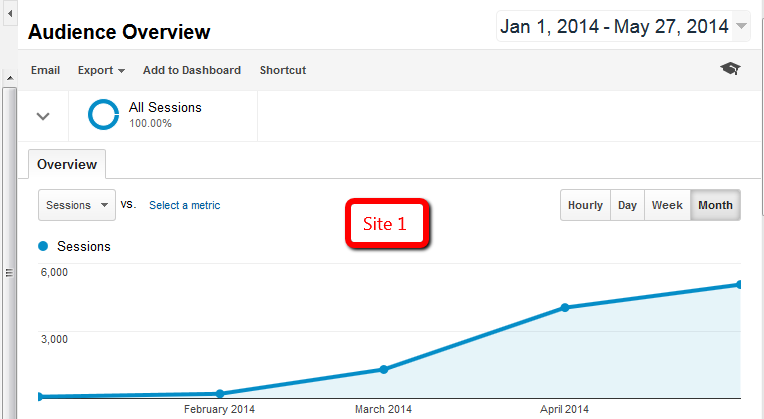 At the beginning of the year I was pumped and said 5 niche sites before the end of the year at the very least. *Note to self* Do with comments what you do with articles before you hit publish – make sure your words used exist in the English dictionary! I had similar experience here @Spencer and @Perrin. Last November and December I was building out 4 sites a month but none of them reached the level of success that I’m happy with. It’s indeed really hard to focus on all the sites at once. So right now I will just focus on one site per quarter… 3 months are enough to decide if one site is a winner or not. Great article. Dont worry, niche sites still works, but you gotta have a few of em. I find they either make nothing or they hit home runs. Hi Spencer, I applied for Adsense and I got approved for the first process. Then they rechecked it for the second process… it was declined for insufficient content. They told me to reapply when I do that. I have 7 unique articles and planning to add 3 more. Is it OK if I apply with the same website over and over till they approve it? I too am in the process of switching from smaller – quick – easy sites to large authority niche sites. It is a bit more nerve racking building out the larger sites as it requires more time and monetary investment up front. But the potential long term rewards are hopefully worth it. Less about overnight success and more about long term brand equity. I think to further this kind of growth when you are focused on a growing site is to use content marketing and content re-purposing; especially when you are dealing with a lot of articles already existing on the site. To create an outreach campaign and marketing your existing content, as well as build more content to keep up the ‘freshness’ angle with Google and Bing is the right thing. I do notice a big theme here over the last couple of posts and podcast…patience. Currently, Google and Bing demand patience. There is no more 5 page sites, with first week results on page one anymore. Every project should be looked at like a long-term (3 years+) business and brand, and not a churn and burn to get maximum effect from SERPs, visitor traffic and even social signals and traffic. Us understanding this, as a community is fairly simple, right? But try telling someone you are creating a site and building branding with about patience…lol…it’s a ‘fun’ conversation to have. Great stuff, and I love the weekly articles + podcasts! One thing I would suggest, as I noticed this happening on ViperChill, (but haven’t seen an update), is for you and Perrin to have a little competition. Possibly some case study involving building an authority site, with each of you having the same industry/niche, but going about it two different ways. Possibly one through content, content marketing and social (I’m thinking Perrin there), and the other doing outsourced articles but heavier SEO and link building. Each has a budget of $100-$250, and then give guidelines for what can and cannot get done each month. Thanks again for all the information and resources! Thanks for the thoughts and ideas Jim! Not sure we are ready to do any kind of contest…but we can certainly consider. I know your a busy guy but …..
….. Just wondering if this would be a cool idea for a blog post / podcast ? How about if you had some sort of quick-fire poll of Niche Pursuits readers to gauge their success so far. how many sites they have ? how many generate income ? how old the sites are ? how much content they have ? 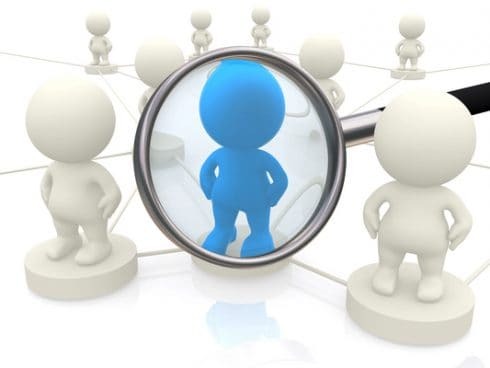 How many many make x amount of income …..
Perhaps it could be a page on niche pursuits that constantly updated as new people added their info or maybe it could be a quarterly or yearly poll. Anyway, just some food for thought, its something I would love to see, could be really beneficial to see how everyone is really getting on, and help people decide on their own best strategy. Hey Lenny, that would indeed be an interesting poll. I will consider. Great post again, learned a lot, specially about the concept of “Niche” site. Spencer, I always wonder that why don’t you use social like and share buttons on your blog posts..
your post came at the right time, I was thinking about a more sustainable way of creating websites for a few weeks, too. I have one question. I want to change my old domain name like best-product.com (which looks a little bit spammy) to a new domain name. But I want to keep my rankings. I know its possible with a 301 redirect and according to Google it should be possible to keep my old rankings. I know, you did something similar with your survival knife guide. How does this worked out for you? If you just want to change domain name, a 301 is the way to go. If your site was penalized and you want to stay away from all your old links, then you need to deindex your old site and move content to a new domain (NOT recommended for most people). Yes for NSP1, I have made some changes after a negative SEO attack, and its actually worked out well…early signs are promising. what is better in ranking in google making posts or new pages in blogger ? Its tough; but possible depending on how they are targeting the keywords. I usually avoid unless I see other niche sites (affiliate sites) in the serps. George it may be an affiliate, however it is a huge authority within its niche. With a Domain Authority of 91 and PA of 93, it’s unlikely you will outrank but like Spencer said, it depends on the keywords you target. Also, I am always looking for your new sites.. Also, will you train another person like Perin to create a niche site? No, that’s not in the plans. Man, I’ve been reading your posts and listening to your podcasts so much recently, it’s always like you guys are in my mind. The questions and thought processes I have always seem to get reflected in your next posts. The best part is, you seem to actually know the answers, whereas I just get big question marks following me around. So maybe it’s easier to get 10 sites to $200 a month than it is to get 1 site to $2000? Who knows? I usually end up trying a bit of both until I go crazy and go back to my main site. Maybe it’s more about what you prefer doing? Personally I LOVE researching niches, building sites, watching them go from a skeleton to a fleshed out site, and slowly getting them off the ground. I get bored of a site after 6 months. I love making new niche sites, so that’s what I tend to focus on. Thanks for listening and reading all the time, Dominic! I do agree that your strategy will depend on what you personally enjoy doing. However, as stated in the post, you often can get a better return by growing your existing sites. Yeah you are probably right, I’ll have to think more about learning how to take things up a notch rather than just rinsing and repeating the initial stages. Cheers Spencer. Slow and steady wins the race. If you take into account how much a niche site can earn nowadays – i have seen a niche site sold on flippa for over $60,000 which was earning over $8,000 per month, there is no need or pressure to build hundreds of niche sites like in the past. 1-2 such successful websites are more than enough. I am glad about this shift that Spencer promotes of switching from hundred of low quality websites towards few but better websites. Quick question : what number do your screenshots show? Pageviews? Uniques? I have trouble with the term “session”. Google recently changed analytics. It used to be called “Unique Visitors”, now its called “Sessions”, but I believe its the same stat; just a new name. As already mentioned here, it is an ever going duel between quality and quantity. First I got to say that I love both you and Perrin! It´s also because of you guys that I stayed motivated with my first batch of niche sites I started last December. After a while I got demotivated because there wasn´t much traffic going on so I stopped building niche sites/IM in general. Last april I took a look at my analytics and saw that one of my sites is having a few hundred visitors a month (making me like 100-200€) . 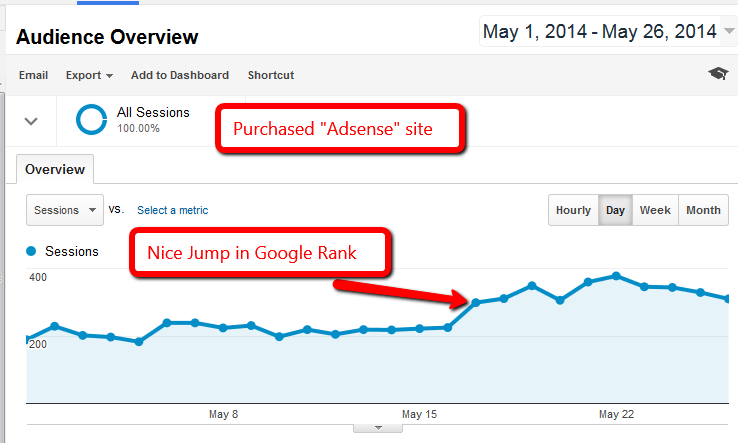 So I read one of your post regarding optimizing adsense, which I did. Since then I get around €700 per month from that niche site. Which is around $950 each month. I’m planning to add more content to the site in june. I also bought LTP a week ago which I love aswell. I can easily get 30-40 more articles. (the site has 15 articles now). I guess I can more than double the income of the site. So I’m pretty happy atm. The site has been a big game changer for me and it really opened my eyes. And now OT ;). Well I have been tempted aswell to make more niche sites, which I actually did. I made a site similar to Perrin’s site, it’s still not earning me much but I see some returns atm. I’m planning on building these two sites in authority sites in their niche. Very good article again Spencer! But I would like to know when I should sell or if I should sell my biggest nich site which is earning me $950,-. I’m really doubting if I should sell it or not. The reason why is because I’m not really passionate about the subject. To everyone which has just started a site I would like to say, wait a few months before giving up!!! Thanks again for all your help Spencer and Perin. Your great! It’s because of you guys that I’m back in the game and going forward. I which everyone and you all the best. j’aime beaucoup cet article qui m’a aidée de construire mon site . ce sont vraiment des excellents conseils . Merci beaucoup pour les paroles aimables! What exactly do you mean under “scaling”? Adding new content, building new links, social activity…? Another question to you, Spencer. What is your average conversion rate on Amazon? Mine is near 2%. I think its low and I don’t know how to increase it. Over 50% of visitors go from my site to Amazon and only 2% of them buy something. So overall I have 1 sale per 100 visitors. That’s not much. Scaling means growing the content size and earnings. Avg conversion rate is between 2 to 5%. I have some sites on the lower end as well, I think it just depends on the niche you are in. Jerry, I think I just visited your website and saw the niche. You’re doing a great job, combining your website with a strong social presence on FB. If you are trying to sell more expensive products (> $ 100 – $ 200 each) you might expect lower conversion rates. From experience I can recommend to mix in the keyword “best” every now and then. People searching for keyword combinations with “best” are more eager to buy. At least that is what I am experiencing. I’m trying to get a site ranking and try to add content to it weekly. Since I finished the site (March) I have been doing blog posts each week about related topics. Right now I have around 35 pages of content and a dozen or so blog posts. Are there any pros and cons of doing blog posts instead of new pages to be on the website? Does Google value either one over the other? Thx; very much appreciate all of your work. Randy, Google sees “posts” and “pages” as the same thing. They are only different in regards to how WordPress handles them. They all count as content on your site though. Sometimes they might very based upon how your theme handles posts versus pages, but essentially they are the same thing. Pages vs Post shouldn’t be a big difference. Although with posts you have to be careful not to over-optimize with tags, categories, plugins, etc all with the same keywords. Hey Spencer just listened to the podcast and I thought I would chime in with the 10 sites vs 1 site debate debate. I began building a site in late 2011 in one of the more competitive health niches. It had almost no traffic until around September of 2012 the site REALLY TOOK OFF. This was my first affiliate site, and the first site I ever rank. IN spite of all my mistakes this site has made me over 100k to date. This site still currently is my sole earner, and I while I have other niche sites none of them make me money. I put all my eggs in this one basket, and it was a mistake. Flash forward to May 2013.. I survived every Panda/Penguin up until then. Then in May 2013 my traffic tanked by about 50% and it’s been a slow decline since no matter what I throw at it, or how many links I remove. After seeing a single site that was my sole income earner take a major hit by Penguin I can honestly say I wish I would’ve had 10 sites making 10k than 1 site making 100k in spite of the extra work that would’ve gone into maintaining more sites. My biggest regret was not using the income from my site to invest in building other sites with other revenue streams. I saw the money coming in and chose to sip margaritas on the beach instead because hey I earned it right? Well this was an important lesson for me. Always reinvest those extra earnings into your business. My current site and my sole income earner now generates about 1/3rd of the revenue it did before Penguin 2.0. I look at niche sites now like I’d look at a stock portfolio. How do you protect your investments in a stock portfolio? Diversification. I am currently building out about 5 sites to supplant the lost income from my main site while I hope to recover it sooner or later. If there’s one lesson to learn from Google, it’s that there are no safe link building tactics. I know you are a proponent of Rank Hero, and Domain Jawa there’s no doubt that as Google pulls the rug out from more under more and more link building tactics PBNs will be on the list of targets. How they are going to go about taking them is questionable, but I’d be damned if there wasn’t some engineers in the Googleplex right now trying to figure out ways to crack this puzzle. If your site is an affiliate niche site relying on SEO traffic you must understand the foundation you are building the business on. The SERP is fluid, there’s a sinkhole underneath your site waiting to happen. I think the answer is not 1 site or 10, but rather a few big earners ideally with different traffic sources in different niches. Ben, sorry to hear about your site. But you are still missing the whole point. More sites is not more diversification if all the traffic is coming from Google. If you had 10 sites, they probably all would have got penalized by Penguin at the exact same moment your big site did. So, those 10 sites wouldn’t have diversified you, you would have just watched 10 sites tank over night instead of one. If you want to take the stock portfolio analogy further. Its like buying 10 different mutual funds that invest primarily in gold, gold mining operations, etc. If the price of gold tanks, all of your mutual funds take a hit at the same time. More mutual funds/stocks (sites) doesn’t help. However, if you are invested in different segments (traffic sources), like tech stocks, financial sector, health, etc…then you are diversified. You are investing in Google traffic…no matter how many sites you have. at least you enjoyed the money, you could build more sites like your winning site, you did it once im sure you can again! I just wanted to put another side to what you have said more from a business point of view. 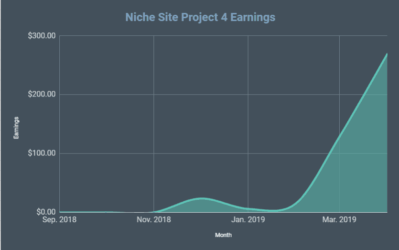 From the other side a niche/monetization that is very very lucrative but lets say only has 1-2 years left before earning potential drops right down these tactics would not be the best way from a business point of view as a site that sits in top 3 positions will make as much money in 3 months as a site will in position 6 does in 6-9 months. So from a business point of view this niche has hundres/thousands of keywords little competition but time is running out what is the right business decision? sometimes I think we need to get out of the routine of whats right and wrong and simply look at the opportunity as each site is different and should be strategized based on this. If you don’t take advantage and maximise opportunity’s your competitors will? Congrats for your site, for me it´is really helpful. I’m trying to create some niche sites, however I have several problem nowaday especially due to the time I spend trying to get my sites on first positions. My idea is in the future, buy sites with some backlinks and pagerank, and not create new ones. Do you think is a good idea? Sure, nothing wrong with that if you have the money. i googled a bit and found an interesting Ny times article about the owner Brian Lam (previous editor of Gizmodo) and how he build thewirecutter.com up from scratch and earning $50,000 a month and doubling every quarter. Actually i wanted to post on another post but i was already locked. I just wanna thank you for all your great content and long tail pro. your program and knowledge did really help me. This blog and your software are what i call useful content! you deserve every cent you earn with both! A comment from the heart! Indeed, content is king and quantity factor no longer applies today if you want to increase your rank in search engines. Thanks for encouraging me to focus on the advised number of niche sites!